These are all original one-offs that no one has claimed yet, so if you see something you like, come in and let me tattoo it on you! They can be done as-is, altered to fit the area you want to put them, or just to give you an idea for another design. I love to draw and prefer to do custom pieces, so if you like something that I’ve already tattooed on someone, let me know – there are always ways to redesign the same concept so that you can have your own unique tattoo. 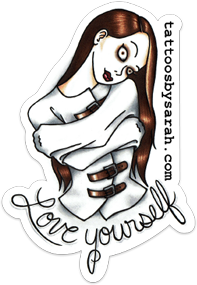 Message me at TattoosbySarahF@gmail.com, or come by the shop to chat.